Hello Friends! 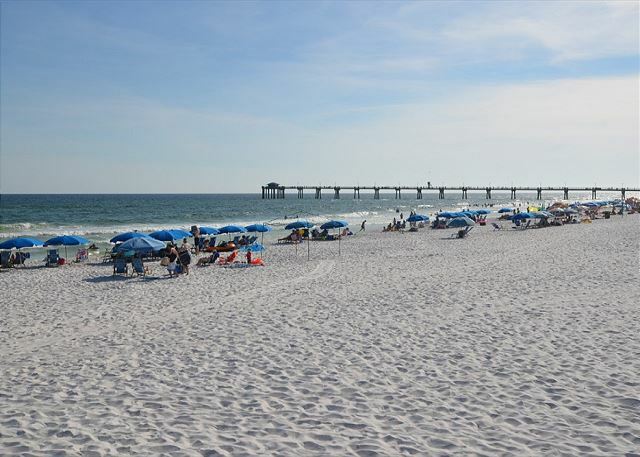 The sugar-white sands and clear emerald waters of the Destin, Fort Walton Beach area welcomes you! 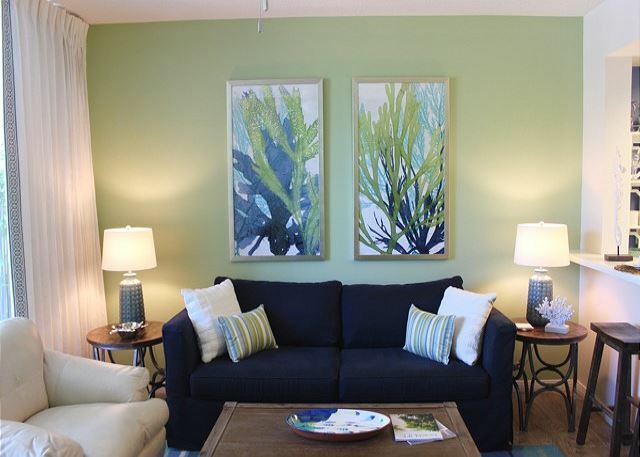 Our cheerful Lanai condominium is the epicenter of convenience for all of your vacation pleasures. 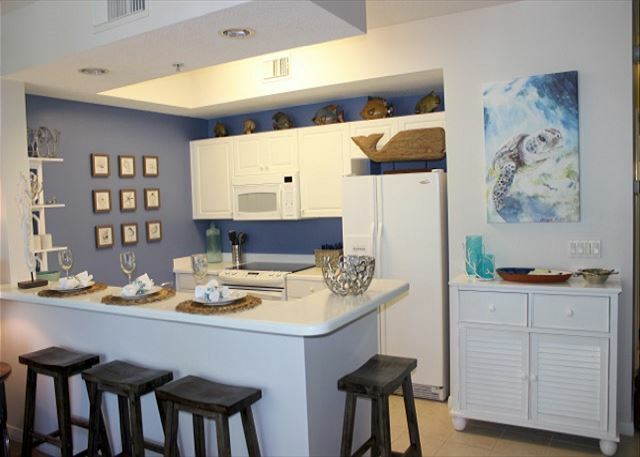 Centrally located, our cozy condominium is perfect for beach, fun, and sun! 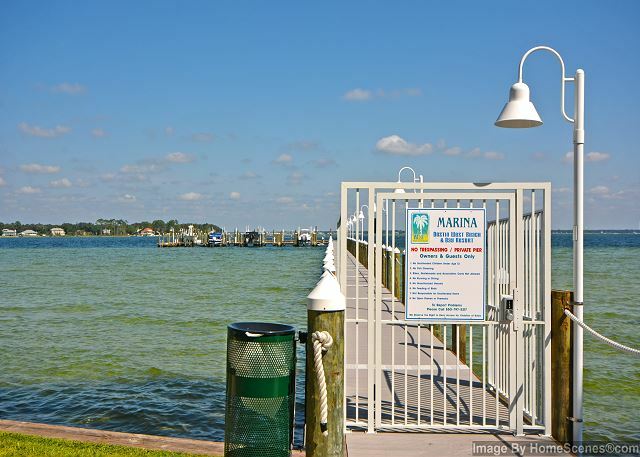 LOCATION: We are conveniently located on Okaloosa Island. 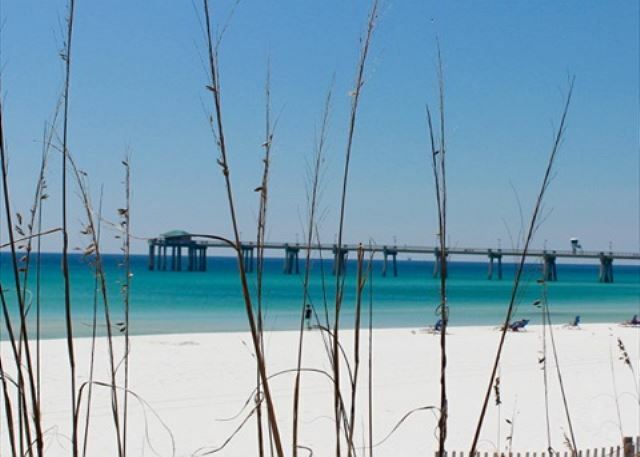 This island connects Destin to Fort Walton Beach. 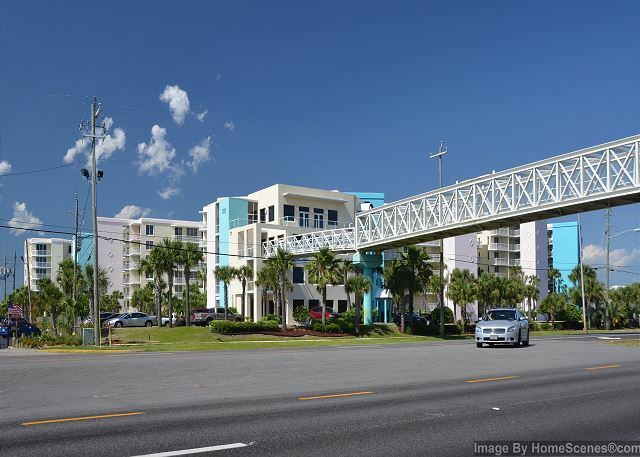 You get the best of both worlds at our location: 4 miles of natural beach and bay coastline on one side and sheer fun on the other side of the island with The Gulfarium, The Boardwalk, and many shops and restaurants within walking distance. 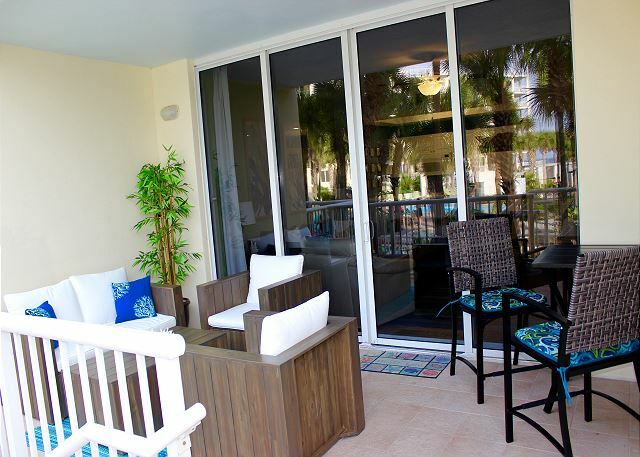 Our Pelican L-02 condo is also a convenient Lanai. 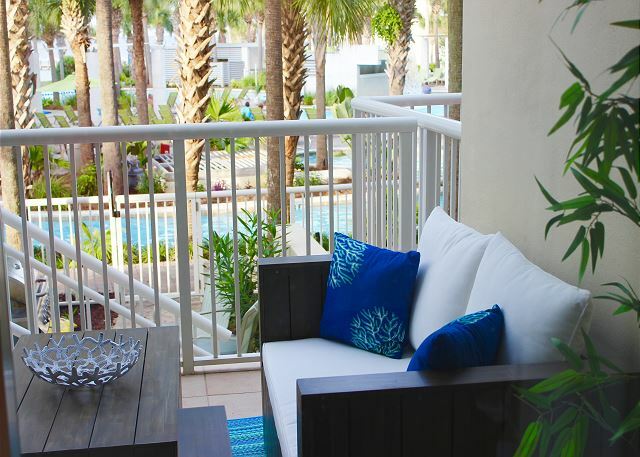 Just step off our porch to the ground level with private access to the lazy river, down to the grills, or to the bay. Families love the lanais! BEACHES: Tired of crowds of people on the beach? Our condominium sits on the edge of miles of undeveloped coastline. Your view is unobstructed and playtime on the coast is free from crowds of people. 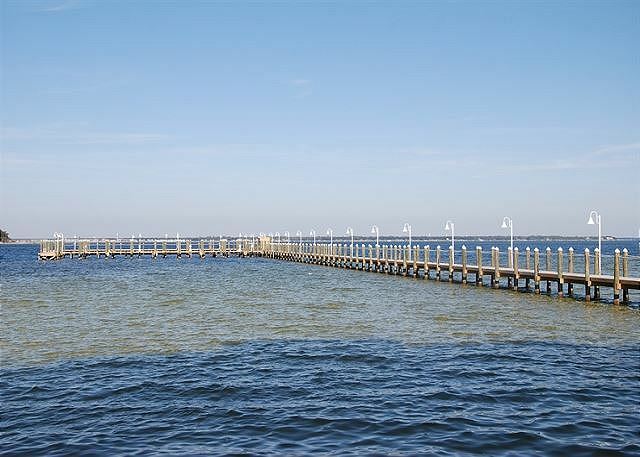 Or you can cruise down to The Boardwalk where there is a fishing pier, volleyball nets, surfers, skin-boarders, and more! 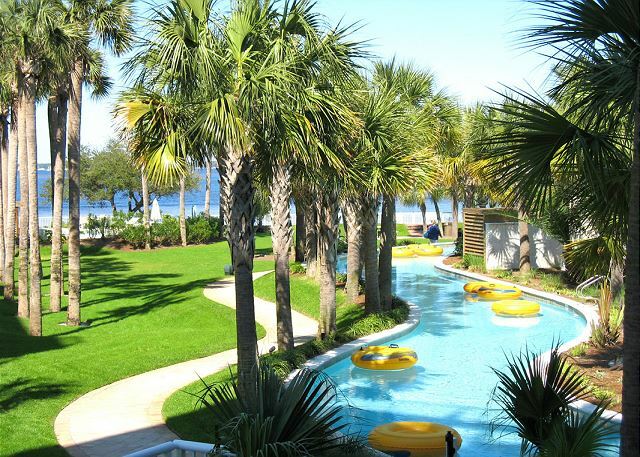 LAZY RIVER: Our private patio (with a private bottom patio great for laying out) overlooks a 700-foot lazy river! 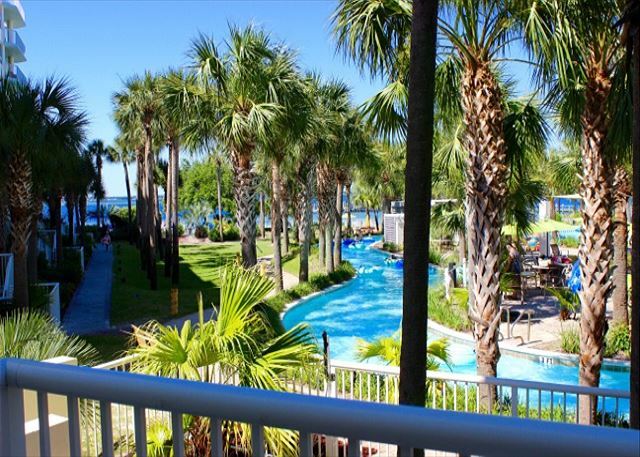 Step right out of our gated porch and jump into the lazy river which is lined with palm trees and beautiful landscaping. Relax and enjoy the beauty as you float around the lazy river. POOL AREAS: There is an seasonally heated pool with a waterfall flowing into it and 2 large hot tubs in the center of the bayside complex. There is also a gradual decline pool (or zero-entry level pool) that feeds into the Lazy River. Parents love the safety of their toddlers playing in the shallow water. Imagine sipping Margaritas, watching the kids float by on an inner tube in the moving Lazy River! Can it get any better? It CAN! The beachside complex offers a 5000 sq. ft. pool, a splash garden water playground for the kids, a kiddy pool, a large hot tub, and the Villas has an seasonally heated pool underneath the building. CONDO FEATURES: We have FREE WIRELESS INTERNET, cable TV, games, a Pac-N-Play (so you don't have to bring yours), a children's booster seat that straps onto the kitchen chair for easy/mess free eating, a plush pillow-top King mattress, Bunk beds (the bottom mattress is a pillow-top), a door enclosing our bunk area, a queen sleeper sofa, a fully equipped kitchen, all linens/towels provided, and great Lanai porch furniture for eating outside. FUN: Looking for fun within walking distance? 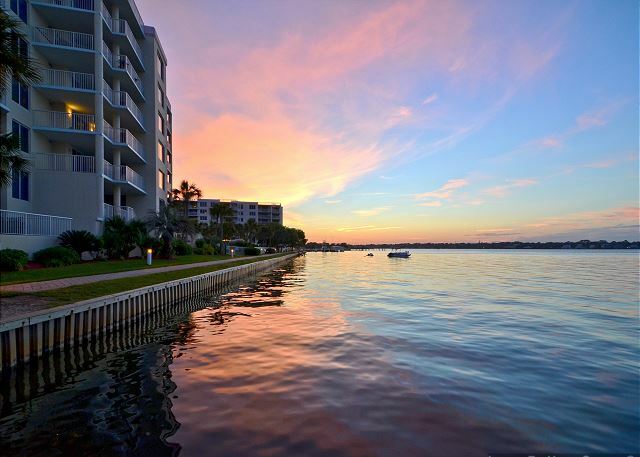 On the adjacent side of our condo is everything you need right at your fingertips. Dear Mr. Crowhurst, Thank you for this wonderful review of Pelican L-02! We love having repeat guests and will be looking forward to having you back again soon! The property was absolutely beautiful! My condo was clean and had a great location. it was delightfully decorated and all the comforts of home. Plenty to do and all the beach equipment at your finger tips. Choices of restauraunts in abundance. Property was well maintained. Absolutely would recommend and return. Watching the dolphins at the Destin Boadwalk was the highlight of my stay. The only thing I would recommend is adding a blow dryer to the bathroom! Dear Ms. Przybocki, Thank you so much for this amazing review of Pelican L-02! Its one of my favorite units with its refreshing modern decor! I wanted to be sure to let you know that there is a hair dryer hiding in the drawer of the master bathroom on the right side, so you'll have access to this when you return. In the meantime, we'll be counting the days and saving you plenty of Florida sunshine! We had an absolutely wonderful stay! The condo was clean and nicely decorated. We felt right at home and felt that the condo was nicely equipped with everything we needed. 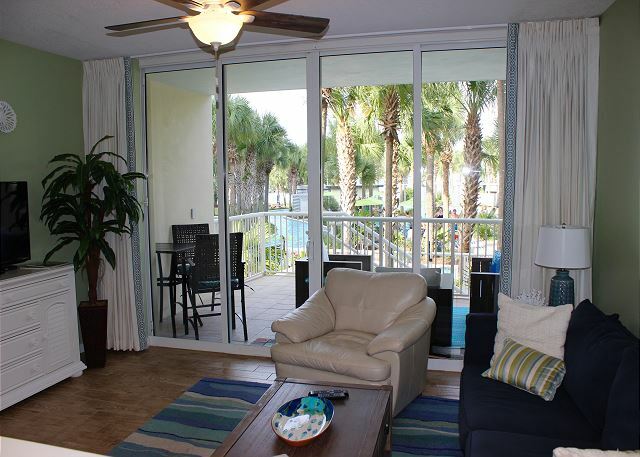 Our favorite thing about this condo was the direct access to the pool area! So convenient! Thanks for a wonderful stay. We look forward to staying at this condo again next year. Thank you so much for leaving us this stellar review! We can't wait to have you back! We're ready to book whenever you are! Destin West was a fabulous place for our family to relax and enjoy the sunshine! 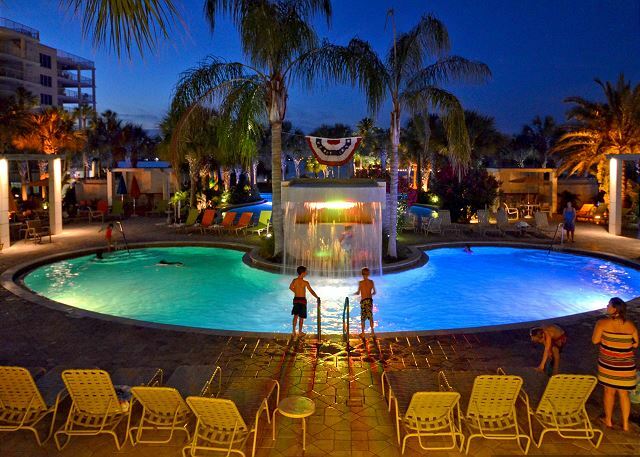 We were here for a baseball tournament, however in our time away from the field, the pools at Destin West bayside were tons of fun for the kiddos. Pelican L – 02 was a Wonderful retreat! 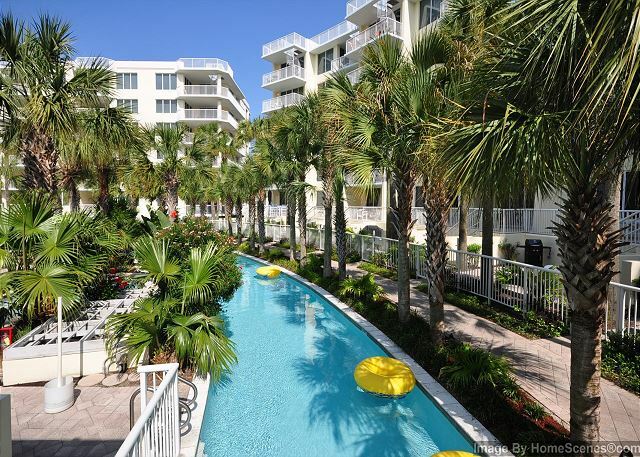 This condo is in great shape, well stocked, and in a fabulous location next to the pool. The gas grill was a great spot for hotdogs after a game! The only thing I could suggest to make things more accommodating would be to add some sort of storage bins for the bunk room. The master closet is ample, but there is very little storage for the bunk room. There is a dresser in the family room with plenty of drawers, that helps bunches. Overall, a great place to stay! Your time here with us sounds amazing! We're so happy to know that you had a great stay! Please let us know when you'd like to book with us again, as we'd love to have you back. Dear Mr. Hall, Thank you so much for taking the time out to let us know you loved us! We're ready to book your next visit whenever you are. We enjoy the accommodations. Only a few steps to the pool plus beach accessories. 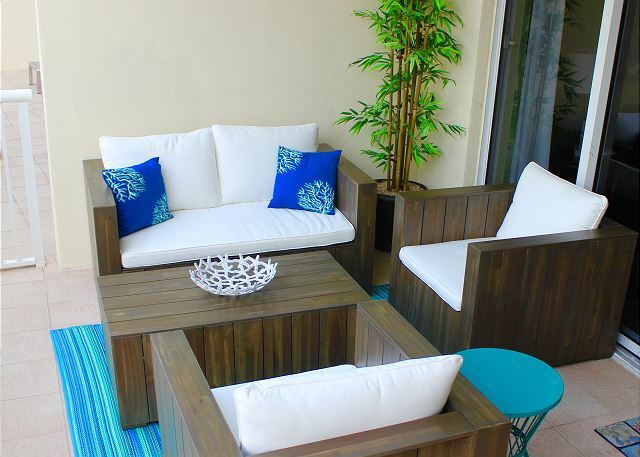 Prefer a table on lanai for eating or working crossword puzzles, etc. But, we adjust to what's offered and like it. Because there isn't sun shinning on our area, it sends us out to the pool area and that's good. Dear Ms. Maurer, I'm so happy to hear that you enjoyed our accommodations! Each unit is a little different and reflects a little of the personality of each individual owner. The most important thing to us is that we were able to provide a home away from home, and we're so grateful that you'd recommend us to your friends and loved ones. A little dose of that Florida sunshine goes a long way, doesn't it? As we like to say here in the South, ya'll come back soon! 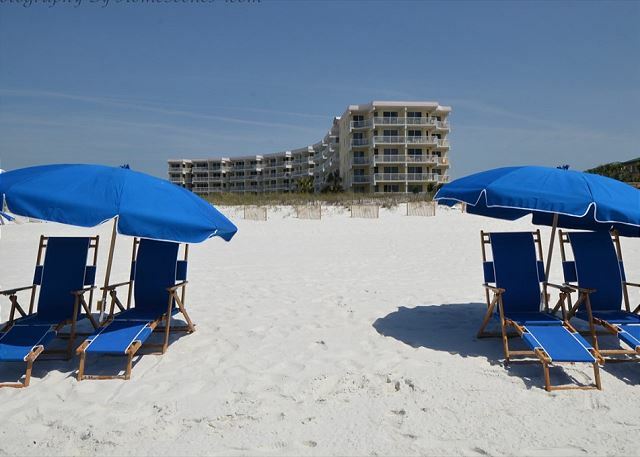 We enjoyed every minute of our stay in Destin Pelican L-02 condo. The location was great, the weather could have been better but that did not stop us from having an awesome time and the overall experience where we stayed was truly enjoyable. We would reserve a weekend stay again soon! Dear Ms. Heinzen, I'm sorry that the weather was uncooperative, but am so happy to hear that you had a wonderful time! Pelican L-02 is a beautiful unit! We're ready to book your next trip whenever you are! Wee felt right at home. Clean, great location, lots of anmenities. We will definitely be back! Dear Ms. Riddle, Our goal is to provide a home away from home for our guests and their families! We're so pleased to know this was your experience and are very happy that you'll be back! This is our second year in a row to rent in the Pelican building on the lower level stepping out to lazy river. It's so awesome with kids! 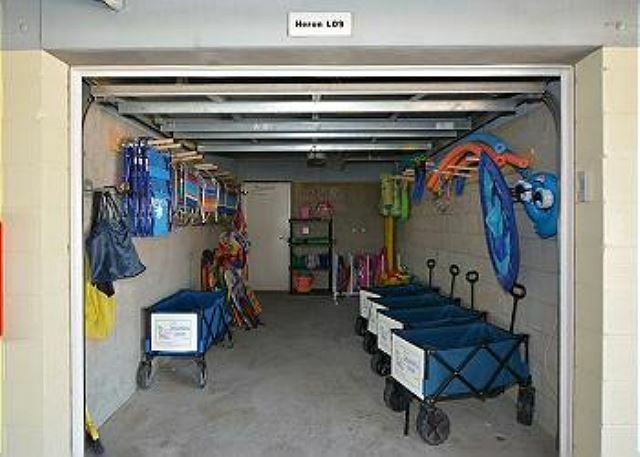 The garage had a wagon, chairs, sand toys which made it easy to walk to the beach side. We loved this condo. It was very clean and well decorated. The kitchen was nicely stocked and organized for making family meals. Beds were comfy and our kids loved the bunk room. Would highly recommend. This was a great condo. Perfect, perfect, perfect! The best of both worlds i.e. beach and bay, and a garden. It was a great stay. Connection with Ramada and other activities (fishing, gym, use of all amenities, your other guests ) was great. Loved our back garden although would have preferred more sun on our patio. And then to also have a beach was just great. Looking forward to next year..